Born and brought up in Arusha, Tanzania, Kelly is a graduate from college of African Wildlife Management Mweka. With over five years of guiding experience, Kelly also comes from a family of experienced guides in Tanzania. 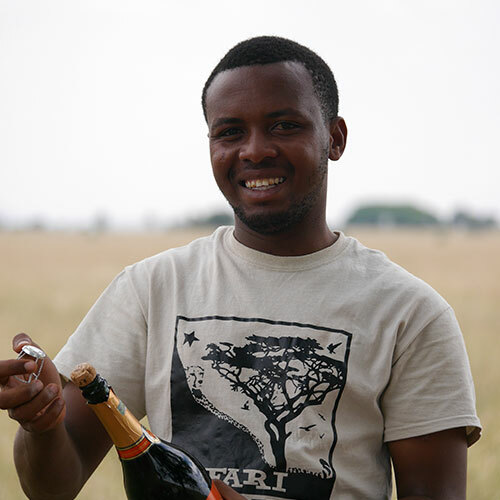 Having been a resident guide at Mbalageti Safari Lodge, Kelly is highly knowledgeable not just about the wildlife, but knows the Serengeti, as well as the other National parks like the back of his hand. Known to be extremely patient, friendly and professional, Kelly always forms a quick bond with his clients, a friendship that lasts even after their safaris.